Lobby Greeters welcome patients, families, and visitors to our beautiful, inpatient hospice facility, the Center for Comfort Care and Healing. Shifts are 3, 4 or 5 hours each between the hours of 8 am- 8 pm, 7 days a week. 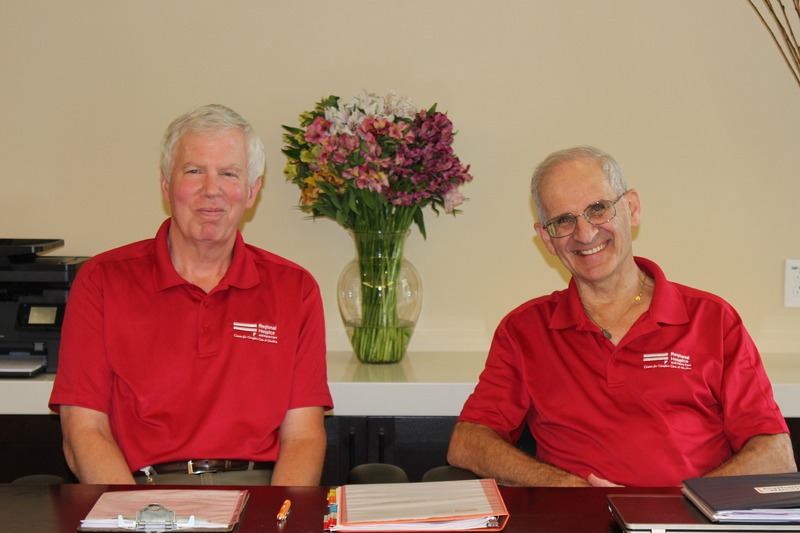 If you have visited our beautiful hospice center in the past year since we opened, there is a good chance you’ve been greeted by two very dedicated volunteers. Those chances are so high because John Hoffman and Gary Boulet, both of Danbury, have collectively logged more than 500 hours since the beginning of 2016 alone!